January 27, 2019 Nattapol Rojjaroengam, M.D. Exercising in highly polluted areas can increase your chances of developing asthma. Strenuous exercise will cause the body to take in more pollutants from the air than usual. When exercising outside, choose the time of day carefully, and avoid exercising close to roads that are crawling with traffic during rush hour. Exercise has turned into something of an obsession for those who want a healthy body and mind as it can help increase lung function and ensure that the body’s circulatory system is working well. However, when we experience air pollution while exercising, the results of this exercise could be quite the opposite. 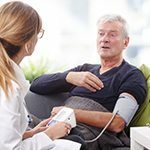 This is particularly the case for those who already suffer from asthma, cardiovascular conditions, respiratory conditions or various other circulatory problems. Even when not exercising, coming into contact with air pollution can cause health issues. However, when we experience high levels of air pollution during exercise, there is an increase in the possible health issues that may arise. One reason for this is that as we exercise, we tend to breathe more heavily, taking in a greater volume of air into our lungs, and breath through our mouth instead of nose. When exercising strenuously, this leads to an increase in the amount of polluted air entering the respiratory system, because the air that enters the lungs doesn’t go through the filtration process that it would usually pass through when breathing normally through the nose. Yet, when talking about air pollution and exercise, what is not yet clear is the levels of air pollution and the amount of time being exposed to that pollution which cause the most damage. Owing to exercise being so beneficial to our overall health, it is not advised that outside exercise be halted altogether, unless you have been specifically asked to do so by your doctor. Rather, you should find a way to reduce the effect of any air pollution on your health. For example, be sure to check any available sources for the times when the air pollution is at its highest in your area, such as on aqmthai.com, the official website of the Pollution Control Department, or check the information provided in some newspapers. Then, carefully select the time when you will exercise, and avoid the times when the roads are full of cars, such as during rush hour. Additionally, try to avoid areas that are particularly high in air pollution. For instance, pollution tends to be at its highest close to roads. The further you are from those roads, the lower the levels of pollution. Also, air pollution levels in the center of towns or cities will usually be much higher than those on the outer edges of urban areas. You may even want to alternate the days when you exercise outside with the days when you exercise indoors. These days could be selected based on the times when air pollution levels are at their highest. Also, if you suffer from a serious health condition – especially conditions affecting the respiratory system, cardiovascular system or circulatory system – you should consult your regular doctor and seek advice on the safest times and places for you to exercise to ensure your good health. 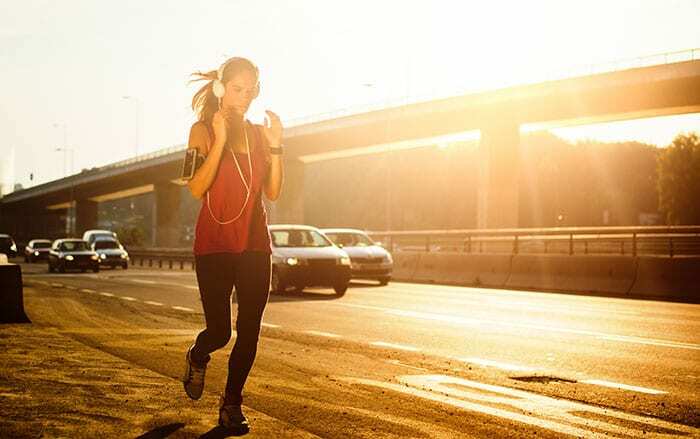 Exercising in Areas With High Levels of Air Pollution Exercise has turned into something of an obsession for those who want a healthy body and mind as it can help increase lung function and ensure that the body’s circulatory system is working well. However, when we experience air pollution while exercising, the results of this exercise could be quite the opposite. This is particularly the case for those who already suffer from asthma, cardiovascular conditions, respiratory conditions or various other circulatory problems.